Screen-grab: Two of the suspects walk into the store. The seven suspects stole liquor and a firearm. 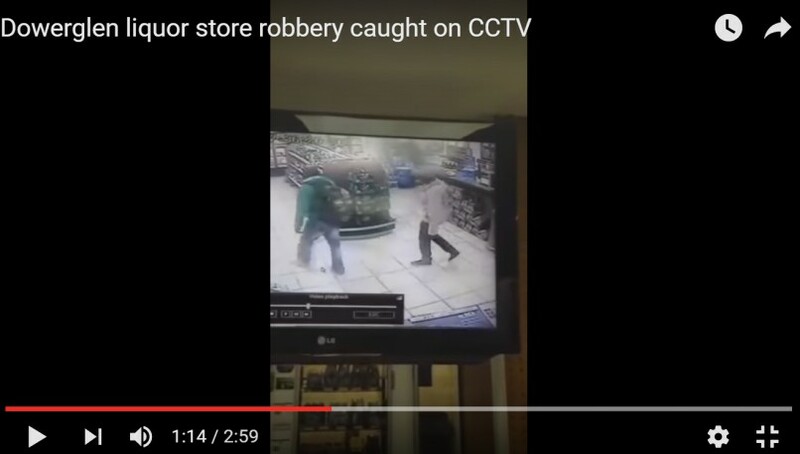 CCTV footage shows seven suspects armed with at least one firearm robbing a liquor store at The Glen Curve Shopping Centre in Edenvale. The footage captured on Saturday shows the suspects storming into the store and loading liqour into their bags. According to a store manager, the suspects stole liquor and a firearm. They fled in a white Bantam bakkie.